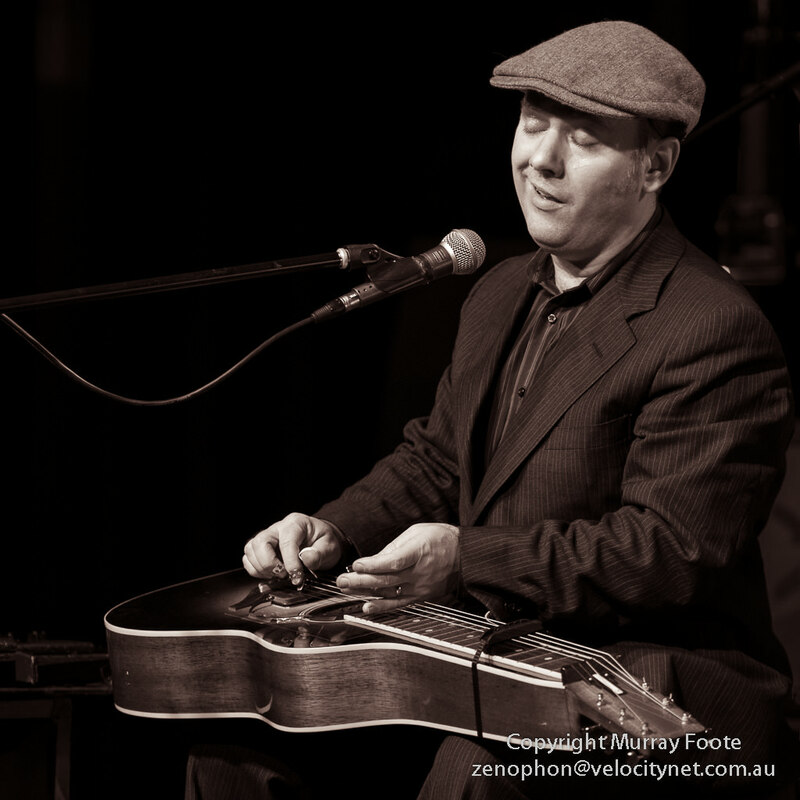 Goulburn Blues Festival 2013 was held over a weekend in early February. Its official name is the Australian Blues Music Festival. I’m not Official Photographer for this Festival and we only attended during one day. 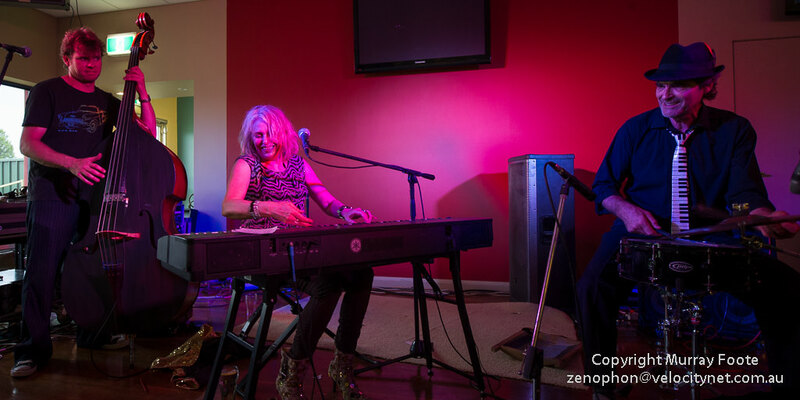 I photographed just three performances: Jan Preston, Jeff Lang and Jimi Hocking. Jan Preston grew up in Greymouth on the wild West Coast of the South Island of New Zealand. She has a long and illustrious career including playing with Split Enz and writing music for films. 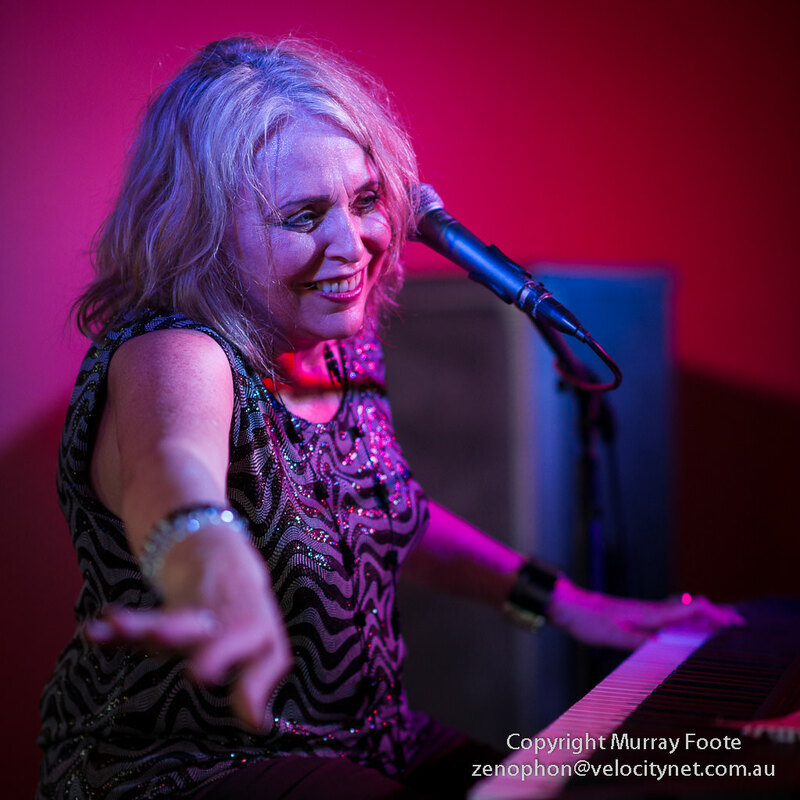 Known as Australia’s “Queen of the Boogie Piano”, she always gives a great live performance. Web Site. Music on MySpace. Jeff Lang was performing here solo, first time I had seen him without a band for several years. 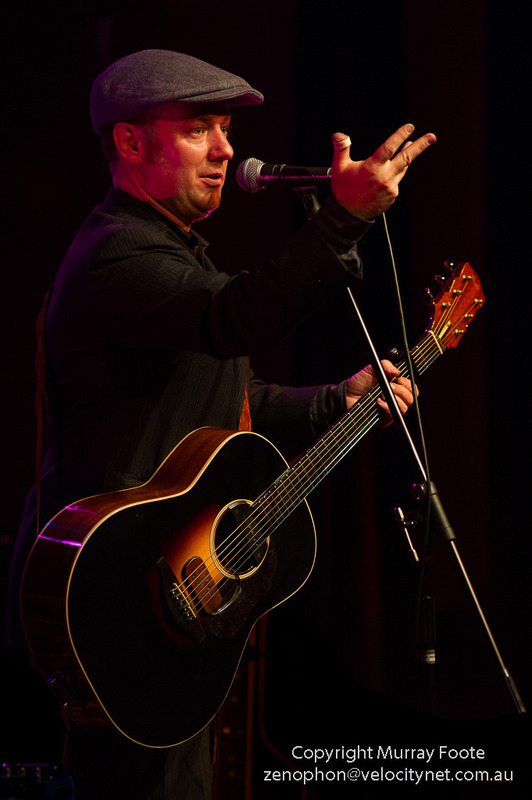 He creates a musical space somewhere between Blues, Roots and Folk and is an absolute maestro on the guitar. Web Site. Music on My Space. 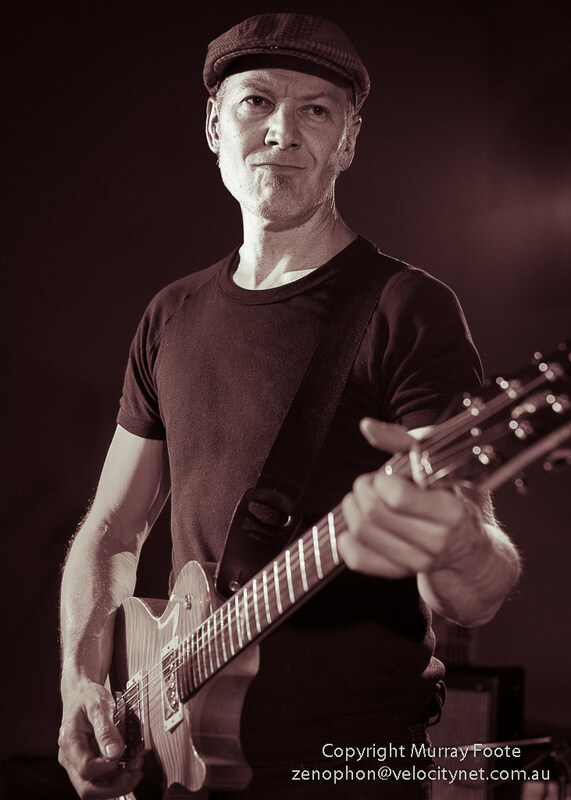 Jimi Hocking is always a dynamo in live performance, including a level of fitness that would impress Mick Jagger. In the 90s he was lead guitarist for the Screaming Jets and before that, replacement guitarist for a while with the Angels. His web site describes him as “the electric love child of T-Bone Walker, BB King and Jimi Hendrix”. He is always a great favourite with the people on the dance floor. See here for more images from this Festival (62 in all including some monochrome conversions). 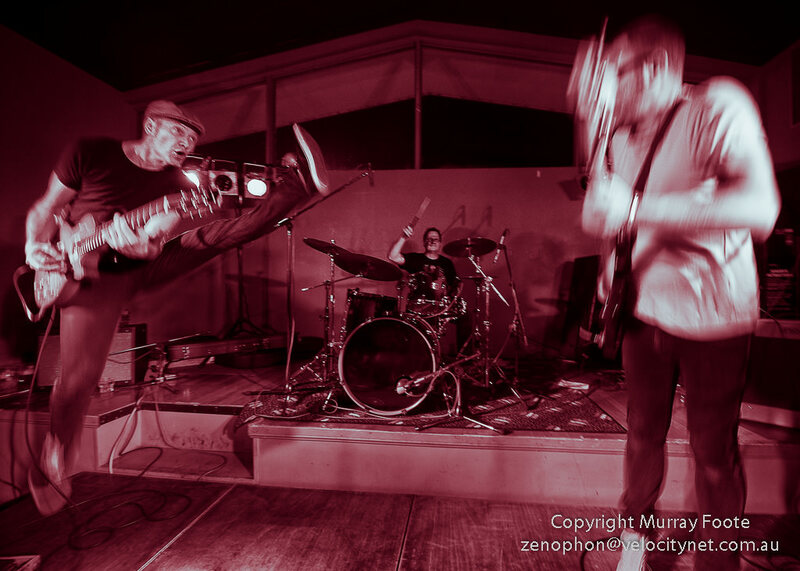 This entry was posted in Australia, Blues and tagged Australia, Blues, Blues Festivals, Goulburn, Goulburn Blues Festival, Live Music, Photography, Travel.